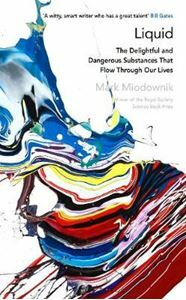 From Laszlo Biro's revolutionary pen and Abraham Gesner's kerosene to cutting-edge research on self-repairing roads and liquid computers, Miodownik uses his winning formula of scientific storytelling to bring the everyday to life. He reveals why liquids can flow up a tree but down a hill, why oil is sticky, how waves can travel so far, and how to make the perfect cup of tea. Here are the secret lives of substances that we rely on but rarely understand.